Uniworld Boutique River Cruises is introducing a new ship, the River Saigon, on the Mekong River next January. 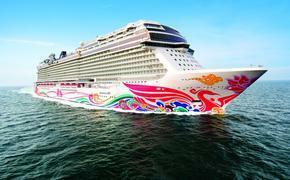 The ship will offer 100 departures of eight itineraries of 10 to 24 days in China, Vietnam and Cambodia. Two new itineraries include the 15-day “Timeless Wonders of Vietnam, Cambodia & the Mekong” river cruise and tour from Ho Chi Minh City to Hanoi, and the 24-day “Grand Asia & the Mekong” river cruise and tour from Beijing to Hanoi. Uniworld also offers a 10-day land-based tour of “Classic China” and a 12-day “Splendors of China & the Yangtze” river cruise and tour. The River Saigon can accommodate up to 60 guests in river-view staterooms. For more information, call 800-868-7905 or visit www.uniworld.com.